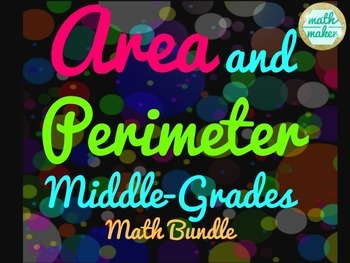 This rigorous bundle will keep your students on their toes! 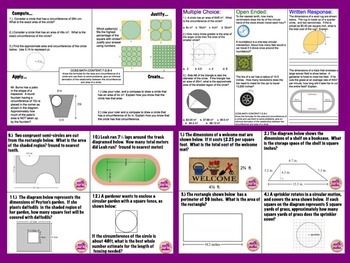 Great for differentiation, group work, independent practice, homework, stations etc. 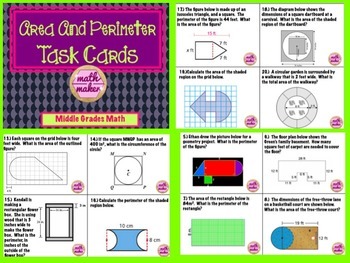 Covers area and perimeter/circumference of rectangles, parallelograms, trapezoids, circles, triangles, and composite figures. 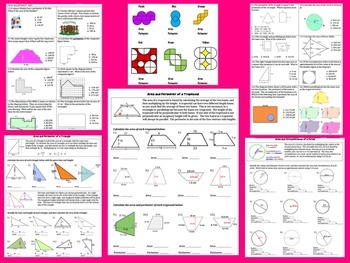 Includes answer keys for most resources.